“The Importance of Photography for Luxury Hotels” at The Preferred Hotels Group Annual Conference in New Delhi, India in 2012. “The Importance of Photography for Luxury Hotels and Destinations” at TEDx Marbella, Spain in 2013. “Consumers Crave Visual Stories: Increase the Revenue from Your Hotel Website with Strong Visuals” at the Historic Hotels of America Annual Conference in Hershey, PA in 2014. “Photography Essentials for the Digital Marketplace” at the Preferred Hotel Group Global Conference, in Pebble Beach, CA in 2014. 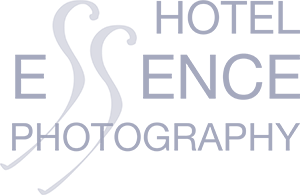 “Hotel Photography Explained” at Escuela de Fotografía Apertura in Malaga, Spain in 2016. What Is Your Hotel’s Visual Reputation?” A Photographic Journey.